Happy Monday Everyone! 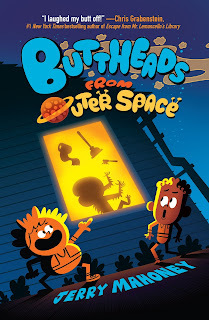 Today I’m excited to have author Jerry Mahoney here to share about his new MG humorous science fiction BUTTHEADS FROM OUTER SPACE. It sounds like a hilarious science fiction story that would be great to read when you need a laugh. Jerry also has a number of other funny MG fairytale-based stories. The buttheads have landed--and they're trying to wipe us out! My best friend Lloyd and I had the perfect plan. We started a blog to invite aliens to come to Earth and hang out--but only with us. That way, they wouldn't have to meet any boring world leaders or get cut open by scientists or anything like that. We'd just chill out, eat junk food, and play video games together. Sweet, right? And it worked! Two aliens showed up one night in the bathroom of my favorite restaurant, and we snuck them home to my room. The problem is, they're total buttheads! Literally. They have butts on their heads, and they talk in farts. They're rude, disgusting, and they love Earth so much, they just invited 70 billion of their friends to join them here. Hi Jerry! Thanks so much for joining us. I've been writing since I was a kid, back when I had to type up my stories on a typewriter and make my own "books" by stapling stacks of paper together and coloring in the illustrations with magic marker. I never had the self-confidence to be a class clown or make wisecracks out loud, but I discovered that I could make people laugh by writing funny stuff down and showing it to them in the cafeteria or at recess. I was such a quiet kid that my weird sense of humor would always surprise people. They'd laugh and then go, "You wrote this?!" That was always the highest compliment! Once my kids were born, I rediscovered children's books, and I found a whole new bunch of writers I admired, from Mo Willems to Chris Grabenstein, Lemony Snicket, Tom Angleberger and R.J. Palacio. (My all-time favorite is still Judy Blume.) I thought back to all the crazy stuff I wrote as a kid and realized I had a whole new audience I could try to entertain with my writing. Instead of my classmates, now it was my own kids and their friends! 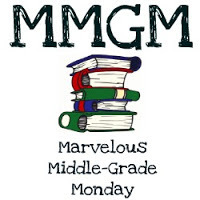 So I started writing middle grade, and it's been the most fun, most fulfilling writing I've ever done. 2. I can remember those typewriter days too! Where did you get the idea for BUTTHEADS FROM OUTER SPACE? Greg. London is a beautiful city, rich with culture and history, full of amazing restaurants and wonderful people… but what was the first thing we did? We found an arcade to see what kinds of video games they had there, and we ate all the weird foreign candy out of the vending machine. When I was trying to imagine how a 12-year-old would think about aliens, I thought back to that trip. If aliens traveled all the way across the cosmos to visit our planet, how would they want to spend their time here? By doing all the things people typically make aliens do in books, like meeting with boring world leaders and submitting to invasive scientific experiments? No way! They'd want to have fun! So I sat down and wrote "An Open Letter From Two Cool Earthlings to any Extraterrestrials Who Want to Visit Our Planet (but Not Kill Us)." It was just a creative writing project at first, but as I wrote it, the characters really came to life for me, and I wanted to spend more time with them and send them on a fun adventure. That open letter ended up in Chapter One of the book pretty much as I wrote it that day. The idea that the aliens had butts on their heads was just a random joke I threw in. The kind of wacky detail my characters would come up with. Originally, I didn't intend for the aliens' anatomy to match Josh and Lloyd's description. But as I started writing, I thought, "Why not?" And I couldn't resist the title BUTTHEADS FROM OUTER SPACE. 3. Your story about your trip to London made me laugh. It's really funny. This sounds like a hilarious but also plot-driven story that will appeal to boys as well as girls—not always easy. How did you balance humor and plot in this story? Nothing bums me out more than reading a book that's really funny but that goes nowhere. If a book doesn't have a good story, I won't finish reading it, no matter how much it makes me laugh. So I knew I could write some funny jokes about aliens, but I wanted to make sure I didn't forget to go somewhere with the plot. After I wrote the open letter, I put it aside and did a ton of outlining. I thought of all the different routes my story could take. At one point, Josh and Lloyd were going to be the ones who betrayed the Earth and helped aliens take over. I tried it lots of ways to see what would work the best. I'll be honest -- plot is hard. It's harder than comedy, at least for me. But it's so much more important than jokes. I have dozens of ideas on my computer that I think would make really funny books, but I just can't crack the story. I won't start writing something until I know where it's going and I can be sure the reader will be surprised along the way. 4. I'm too serious to be funny so I'd say that is harder than plot for me. Josh and Lloyd are the two main characters. I can’t tell from the blurb if you tell your story from both character’s POV or just one of them. Share about this and what you like about both characters in general. The story is all told from Josh's point of view. He's the more level-headed and rational of the two kids, and yet he's never the one who gets his way. So it was fun describing everything from his perspective, knowing what the right choice would be and then seeing how Lloyd would manipulate him into doing the opposite. I love that Lloyd is so charming and self-confident that he can get people to do things they wouldn't normally do. What I love about Josh is that he knows Lloyd is manipulating him, but he goes along with it anyway, because ultimately, when they do things Lloyd's way, it's more fun. Lloyd is always taking Josh down the road less traveled, which Josh would never have the guts to do on his own. One of my favorite parts of the book is when Lloyd admits that he couldn't do all the crazy things he does without Josh by his side. They're two characters who complement each other perfectly, and neither one would be who they are without the other as his buddy. 5. Sounds like a very interesting friendship. This is not your first book. Tell us a little bit about your My Rotten Stepbrother series. 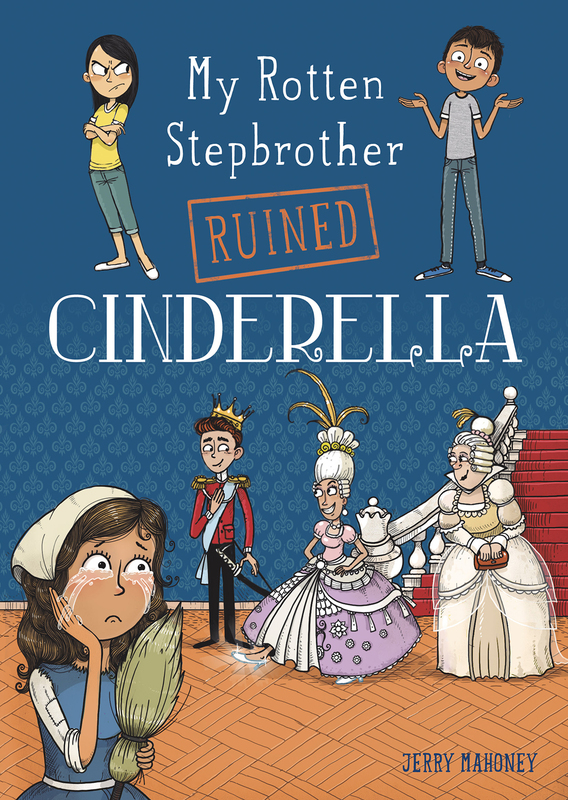 I had so much fun working on the My Rotten Stepbrother Ruined Fairy Tales series. The books are about a girl named Maddie who loves fairy tales, but she has an obnoxious stepbrother named Holden who keeps pointing out the plot holes in them. Things like "Wouldn't Cinderella's glass slipper have fit a lot of women?" and "If the Beast was cursed for being too shallow, how come he gets to break the curse by marrying a total babe?" He actually makes some good points -- so good that he breaks the stories, and the two feuding stepsiblings have to go into the books to try to fix them from within. 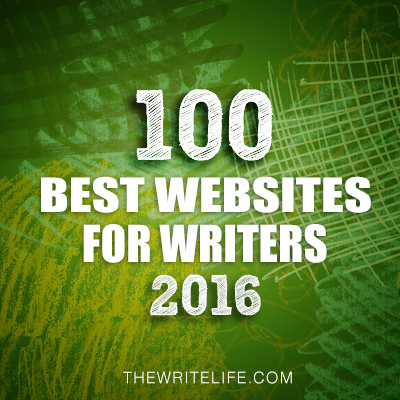 I loved writing for Maddie and Holden. They have such an interesting dynamic as step-siblings. Most siblings fight, but they also have so much history together that there's a foundation of love underneath. Maddie and Holden have only recently come into each other's lives, through their parents' marriage. So they fight like siblings, but they have no idea how to relate to each other or get along in any way. And they never might, either, except that they're thrust into this adventure that forces them to work together, and through that, they become the siblings they were meant to be. They still fight, of course, but ultimately, they love and respect each other, too. I wrote the books in a way that you can start with any one of them, but if you read them all, you're rewarded with some extra plot and character detail, and you really feel like you've gone on a fulfilling journey with them. 6. Your agent is Laurie Abkemeier. How did she become your agent and what was your road to publication like? What was the submission process like for this book? immediately tweeted that it was the fastest she'd ever replied to a query. That was obviously a great sign that she connected with my writing. After that book, I decided I wanted to write middle grade fiction, and she stood by me through what was obviously a very big shift. I only wish the submission process for the book had gone as quickly as finding an agent did. My experience there was far more typical, I'd imagine. Lots of waiting, plenty of rejections, me constantly doubting myself and wondering if I'd ever write another book… and then Sky Pony came in and loved it. 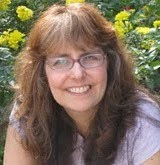 When I talked to my editor, Becky Herrick, it was all worth it, because I knew that Becky "got" it. She told me where she laughed out loud, she had some great suggestions and she knew just how she wanted to market the book. So, it was a long process for sure, but thankfully it all worked out in the end. 7. That's great that your agent could guide you through the changes in what you write. You have been writing and publishing books for a number of years. How have you built your readership and spread the word better about your books as you publish more books? My first published book was a memoir about how I became a dad. It grew out of a dad blog I wrote called Mommy Man. 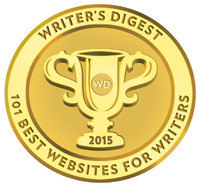 The blog was a great way to build a readership, because it connected me with people who were interested in my writing and my parenting advice. They'd help share my posts, and I built up a good base of subscribers who would read everything I wrote. Then, when my book came out, they were a natural audience to reach out to. 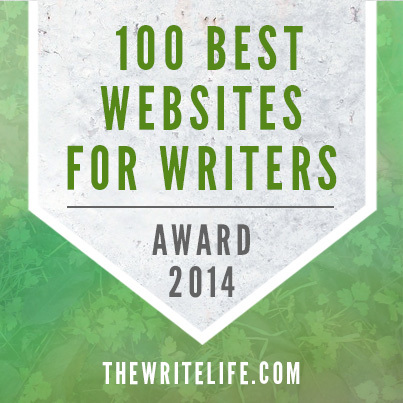 I've been fortunate to hold onto that audience as I've branched out into writing for kids. Those blog followers are still there, so even though I don't write about parenting as much as I used to, I'll always make sure to let those readers know when I have a new book coming out! 8. 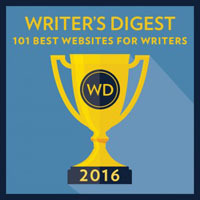 What are some of the most effective ways that you’ve found to market your books? To be honest, I'm still learning the ropes of marketing kids' books. Middle grade readers are too young for social media and too young to collect email addresses from. So to the extent I can market myself online, it's usually to parents, teachers, librarians and adult fans of kids' books. The best way I've discovered to reach kids is to actually go meet them. Do school visits, book fairs, readings, anything to meet kids in person. Of course, that's a lot of work. A blog post might reach tens of thousands of readers a day, but the most kids I can meet in person is a few dozen at a time. So I'm just starting to build my readership. I have a lot of work ahead of me! The good thing is, I love meeting kids and introducing them to my writing, so I'm in this for the long run. 9. Great advice. And I'm sure your blog has connected you to some of the parents at least. What advice do you have for aspiring writers about building their social network through Twitter or, if you don’t use it much, through your favorite social media site? Twitter is great, because so many people I admire are on there. I follow a bunch of authors I like, just to keep up on what they're doing and what they have to say. I also follow a bunch of agents, editors, librarians and book bloggers to see what people in the kidlit world are talking about. There's so much information out there, there's no excuse these days for writers not studying the market. My advice for tweeting is first of all, to be yourself. Tweet about what interests you, even if it's unrelated to the kinds of books you write. These days, almost everyone tweets about politics, so don't shy away from sharing your views if there's something you feel strongly about. As I like to say, you can't please everyone, but you can bore everyone. Take a stand, and more people will pay attention. That being said, Twitter feuds will get you nowhere. I've learned that lesson the hard way. When you engage with people, be respectful and constructive. If you don't think you have something positive to add, just move on and find something else to tweet about. I know that can be hard when there are actual Nazis on Twitter, saying things that will get you all riled up if you let them. But shouting at crazy people over the internet is a waste of time, and it only makes you feel crummier. Boost the messages you agree with, and you'll feel better and connect with more people at the same time. I have a few different book ideas I'm working on, and I'm just finishing up a scripted podcast for kids. It's called THE WEIRDNESS, and it's for a company called Gen-Z media, which did THE UNEXPLAINABLE DISAPPEARANCE OF MARS PATEL and THE GHOST OF JESSICA MAJORS. It's about a couple of kids who meet Bigfoot and go on an adventure around the world to help him save other mythical creatures from a creepy monster who's kidnapping them all. It's going to be really fun -- scary, wild and funny, too. I can't wait until it's done and everyone can hear it. Look for it soon wherever you get your podcasts! Jerry has generously offered a paperback of BUTTHEADS FROM OUTER SPACE for a giveaway. To enter, all you need to do is be a follower (just click the follow button if you’re not a follower) and leave a comment through April 28th. If your e-mail is not on your Google Profile, you must leave it in the comments to enter the contest. If you mention this contest on Twitter, Facebook, or your blog, mention this in the comments and I'll give you an extra entry. You must be 13 years old or older to enter. This giveaway is U.S. and Canada. Monday, April 30th I'm participating in the May I Suggest Giveaway Hop! Love your covers! These look like MG books that will really pull kids in. 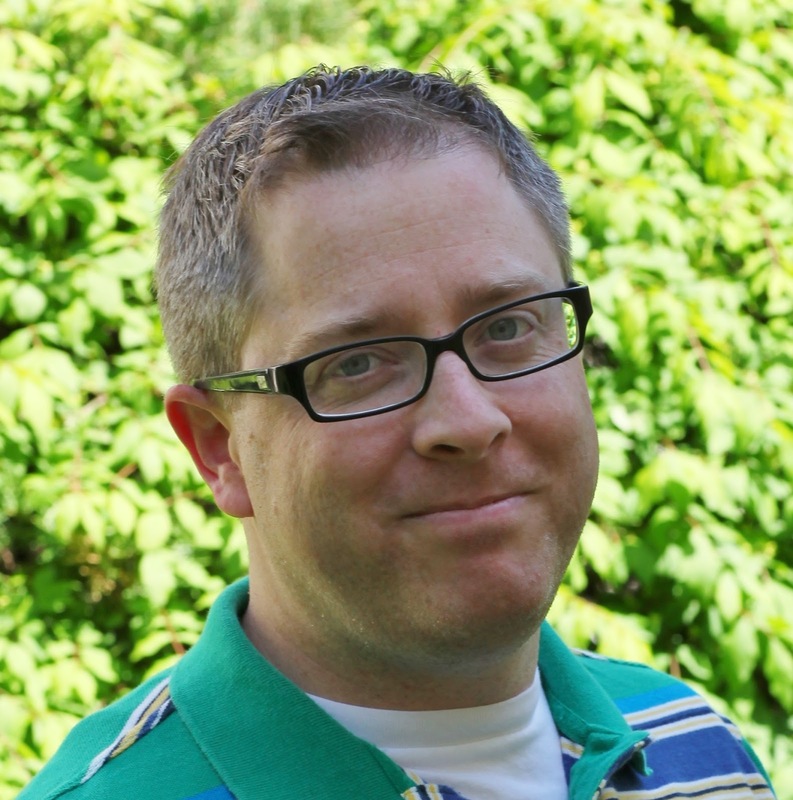 The best way for a children's book author to promote is to get in front of kids. School visits are a must. I never expected Jerry's answer on how he got the idea for this book. Too funny. I'm sure there will be tons of readers for his hilarious results. Congratulations to Jerry! The book sounds hilarious. Something my son would love. Seven minutes has got to be a response time record. At least for a good response. Yeah, I was sure when the response came in so fast that it was going to be a rejection. It was such a happy shock that it wasn't! Well, you had me laughing. I'm sure there are a lot of kids out that will get a real kick out of Buttheads! Very entertaining interview! Buttheads from Outer Space sounds like a winner for youth! Kids like funny and Jerry's stories sound like they hit that sweet spot with a great plot. Congratulations! Love the title, Buttheads from Outerspace. That will get kids' attention! The kids will definitely love it, and all those kids at heart! Great interview! Great tile, Buttheads from Outerspace. Intriguing story line. 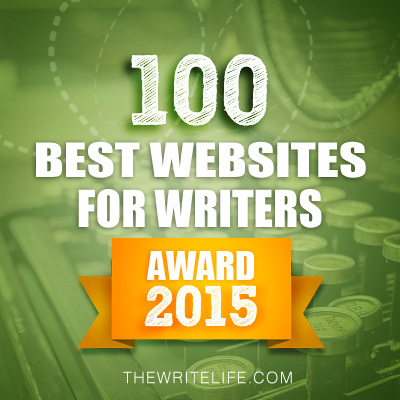 Thank for reading and commenting on my Guest Post (Alex's site). I can see kids now, reading, laughing, and loving your stories, Jerry. Congratulations. Hilarious! I can't wait to read about Buttheads. haha awesome title indeed. Yeah, aliens would much rather have fun than get dissected. 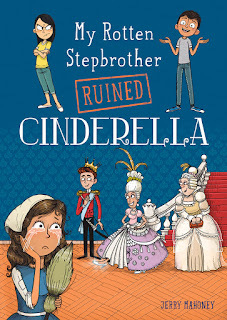 My Rotten Stepbrother Ruined Cinderella was such a fun twist on the fairy-tale, happy to see that Jerry has a new book coming out. Congratulations! These books sound like ones I would really enjoy. I love the titles. I will definitely be checking them out. Thanks for another interesting post. Awesome interview! The books sound like must-reads and the advice on marketing was inspiring. Best of luck, Jerry! What a wonderful interview. Thanks for sharing this. All the luck with your MGs, Jerry. They sound hilarious. I'll try to connect with you online. Congratulations Jerry! This books sounds fun! Buttheads sounds hilarious! I'm recommending it to my middle grade teacher colleagues! Excellent advice, here, and I love the creation story behind this new book! I also love the sound of your Rotten Stepbrother books, so I'll be on the lookout for them! "The problem is, they're total buttheads! Literally. They have butts on their heads, and they talk in farts. They're rude, disgusting, and they love Earth so much, they just invited 70 billion of their friends to join them here."